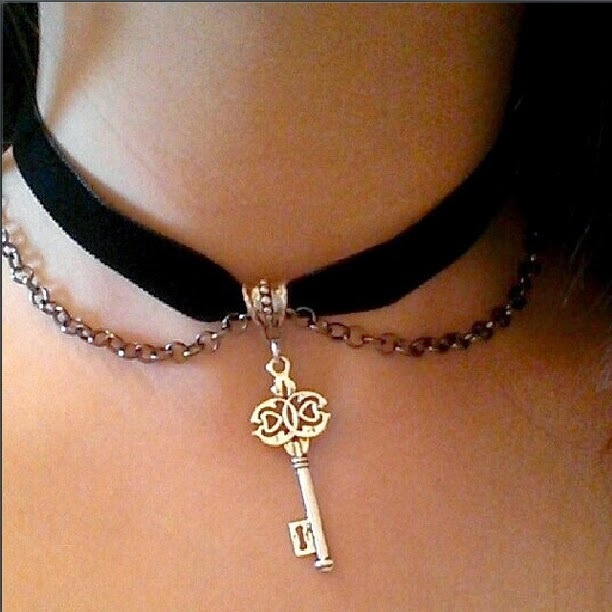 SincerelyBrionyBea: New Key Choker from Etsy: TwirlyTrinkets! 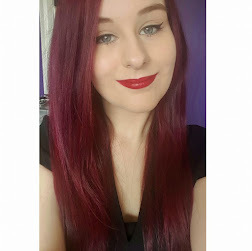 I wanted to share with you my beautiful new choker from the Etsy seller Twirly Trinkets! This is the key charm and chain velvet choker which is cheap at £3.99. It is great quality, easy to put on and take off and sits comfortably around the neck. You can request the length you want also so you know it will definitely fit around your neck! I absolutely adore the key and the chain around it just adds to that. I always get compliments when I wear it and I definitely want more from this Etsy seller! This was the first time I had bought from Etsy and I am so pleased how it turned out. The owner, Penny Lee, is such a nice person and talked with me throughout the order. She sent the choker in a pretty little jewellery draw-string bag and also gave me a little gift of a simple chain to say thank you! How nice of her! To check out TwirlyTrinkets, go to https://www.etsy.com/uk/shop/TwirlyTrinkets where you can find velvet chokers, lace chokers, satin chokers, earrings and bracelets.